FAIRFAX, Va. (July 10, 2010) – The nine Anglican District of Virginia (ADV) congregations that are parties to the church property case brought by The Episcopal Church and the Episcopal Diocese of Virginia today asked the Virginia Supreme Court to reconsider a narrow, but critical portion of its ruling. Specifically, the churches asked the Court to reconsider whether CANA and ADV are branches of The Episcopal Church and Episcopal Diocese of Virginia under the governing statute. “Today we filed a motion asking the Virginia Supreme Court to rehear a portion of its June 10 ruling that addressed whether CANA and ADV are in fact branches that divided from The Episcopal Church and Diocese of Virginia,” said ADV Chairman Jim Oakes. “CANA and ADV came about as a direct result of the division within the Church. In fact, ADV in particular was established because of the desire of the orthodox Virginia churches to stick together. It has become a diverse group of churches all working together for the Gospel. Even when ADV was formed, it was not limited to churches that were affiliated with the Convocation of Anglicans in North America and also included congregations that had established a connection with the Church of Uganda,” Oakes said. 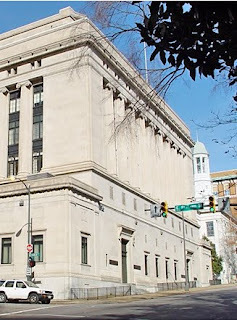 “We recognize that motions to rehear a case are not automatically granted, but we feel we have a strong case and that based on key evidence that the Court overlooked, CANA and ADV satisfy the ‘branch’ requirements of the Virginia Division Statute. We never sought these legal proceedings in the first place and look forward to the day when we can completely focus on our core mission of spreading the Good News of Christ. Ultimately, this court case is in the Lord’s hands and we will continue to welcome all who wish to worship with us regardless of the outcome,” Oakes concluded. The Anglican District of Virginia (www.anglicandistrictofvirginia.org) is an association of Anglican congregations in Virginia. Its members are in full communion with constituent members of the Anglican Communion through its affiliation with the Convocation of Anglicans in North America (CANA), a missionary branch of the Church of Nigeria and other Anglican Archbishops. ADV members are a part of the worldwide Anglican Communion, a community of 77 million people. ADV is dedicated to fulfilling Christ’s Great Commission to make disciples while actively serving in three main capacities: International Ministries, Evangelism, and Strengthening Families and Community. ADV is currently comprised of 30 member congregations and six mission fellowships. Rehearing is independently warranted because the record also forecloses the Court's branch analysis as to ADV. Unlike the Court's analysis of the statute's "church," "attached," and "division" prongs -- which considered the status of TEC and the Diocese separately -- the Court's "branch" analysis treated CANA and ADV as synonymous, overlooking critical facts establishing that ADV is a "branch" even if CANA is not. In fact, the Court's analysis of whether ADV was a "branch" consisted of one sentence: "Likewise the ADV, as a district of CANA, descends from the Church of Nigeria and CANA, not the Diocese or TEC." Op. 29. Respectfully, however, that statement cannot be squared with this record, even assuming, arguendo, that the Court properly reached a contrary conclusion as to CANA.
. . . As the Court noted, "in 2005 Bishop Lee created a new commission 'to give attention to this rising threat of division in the Diocese.'" Op. 7. In September 2006, this commission expressly recognized "the division which may cause some to 'walk apart'" (JA 3034) and "promulgated a 'Protocol for Departing Congregations'" to follow, including "procedures for congregations to conduct votes 'regarding possible departure from the Diocese.'" Op. 7. The Congregations followed the Protocol, creating ADV days before their votes. JA 2991 (ADV articles dated 12/4/06). . . . And as ADV's articles state, ADV was incorporated as "an association of Virginia churches, together with their clergy and laity, who join together to realign traditional Anglicans in Virginia displaced by the election of The Episcopal Church to walk apart from the Anglican Communion." JA 2988 (emphasis added). ADV thus formed "as a result of the division." Op.29. [Also], as the foregoing evidence shows, ADV is not a "pre-existing polity" that "descends from the Church of Nigeria" rather than "the Diocese." Id. ADV is separate and distinct from CANA: It is "a discrete ecclesiastical and legal structure" incorporated under "the Virginia Nonstock Corporation Act." JA 2988 (ADV articles). . . . Nor was ADV formed by the Anglican Church of Nigeria. True, the incorporators of ADV chose to place it "provisionally . . . under the ecclesiastical jurisdiction of [CANA]" -- and thus to bring it "into full communion with the . . . constituent members of the Anglican Communion." JA 2988 (emphasis added). But ADV is legally independent and has its own board; only one sentence in ADV's articles refers to CANA; and the decision to affiliate with CANA and the Church of Nigeria was ADV's own (provisional) choice. Indeed, ADV's members include several congregations that disaffiliated from the Diocese but are not members of CANA -- further confirming that ADV is properly viewed as a descendant of the Diocese, not the Anglican Church of Nigeria. JA 2475-77 (Allison); JA 2175-77 (Minns). Like others that disaffiliated from TEC but wished to remain "'a part of the worldwide [Anglican] church" (Op. 8), these congregations affiliated with another Anglican province. JA 2475-77 (Allison); JA 2175-77 (Minns). 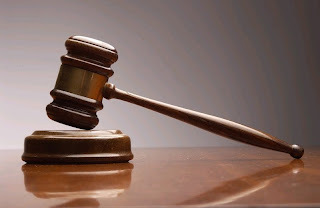 We do not read the Court's opinion to hold that the bare fact of affiliation with the Church of Nigeria disqualified CANA and ADV as "branches." If that were a proper reading of § 57-9, it would violate the First Amendment by expressly discriminating against disaffiliating congregations based on "denominational preference." Larson v. Valente, 456 U.S. 228, 244 (1982) ("one religious denomination cannot be officially preferred over another").
. . . The Court's analysis turned on what it called an "erroneous" "finding." Op. 28. But any such finding was necessarily factual, and factual findings may be reversed only if "plainly wrong or without evidence to support them." Perel v. Brannan, 267 Va. 691,698, 594 S.E.2d 899, 903 (2004). That is not the case here. Thus the application asks the Virginia Supreme Court to rehear the case in order to bring its conclusions into line with the undisputed facts as found below. At a minimum, the Court should clarify its instructions on remand to allow "for further factual findings as to whether ADV, CANA, or both are branches under the Court's new reading of § 57-9. That would be especially appropriate given that the Court's decision marks the first time in 143 years that the Court has addressed the statute's core requirements, and sets forth an analysis that the circuit court understandably had no opportunity to apply." Read it all here. Well done, sir! All the threads on this blog re this subject refer to the departing as identifying themselves as having joined CANA, to affiliate with the Nigerians as a member of the Communion; look back and ADV is rarely mentioned,if at all. I was present prior to and at the vote and there was no mention that we were voting to join ADV, never heard of it until much later after the vote. CANA, nice try. However, don't blame you for trying a "Hail Mary" given the importance of 57.9 to your claim for the property. I guess this has some tactical value in terms of buying time for the CANA folks. It will take a few weeks to get this denied. An interesting point of view, Scout. Is this the diocesan view as well? I have no idea, BB. Their view will be expressed in their responsive filings and we'll find out. But I can't imagine they won't oppose the petition. I also would think that, given how rarely these kinds of petitions are granted, not just by this court, but by most appellate courts, that the general view is that this filing by CANA is just another layer of process. If the irreplaceable asset of time were all that it was being burned up, that would be sad enough. But these things cost money, too. In addition to padding out the time line a bit, I have to think that the way the departing groups planned their withdrawal was so dependent on grabbing property pursuant to the Virginia Division Statute, that, in the internal councils of CANA, taking a long shot at a petition for reconsideration has to reflect some very genuine concern that the analysis of the deeds and trust instruments will not be provide favorable ground on which to continue the litigation. On other fronts, TitusOneNIne reports a ruling by the Georgia Supreme Court in favor of retaining Episcopalian property against seizure and claims of ownership by a departing faction. While there are significant differences from one state jurisdiction to another in these kinds of disputes, one has to believe that one or more of them will end up at the level of the Supreme Court of the United States in the fullness of time. Bb, given that the rehearing document asks for a remand, which would effectively add another year and a half of litigation on the things that have already been fully litigated, I think you're delusional if you think this isn't a stalling tactic. Of course, it's also a last desperate attempt to win on 57-9. The question was whether one thought this was the diocesan's view - I have not offered yet my own thoughts. Fr David Handy has pointed out at T19 that "In 2007, the Court decided 358 petitions for rehearing and granted 13. In 2008, it decided 367 petitions for rehearing and granted 23". Convocation of Anglicans in North America, a branch of the Anglican Communion ...."
Lapinbizarre: the numbers cited by Fr. Handy are really irrelevant if this petition is one of the petitions to be granted. In this case, the Supreme Court engaged in finding facts that were not supported by the record, which is (1) a mistake by any court, and (2) a really big mistake when done by an appellate court of last resort. If the court did not agree with the facts found by the trial judge, then the proper response was to remand the case for more fact-finding, not find its own facts. If the court has any self-awareness at all, it will realize it let its unseemly haste to resolve this case on a non-constitutional basis clouded its judgment (or caused them to unquestioningly take the word of the law clerk who wrote this dog's breakfast of an opinion). Memory tricking me?.... If that's true as to your recollection of the ballot?, your version also states they chose to "SEVER" their relationship with the Episcopal Church and DOV, not join a branch of it. The Pulpit message, and the clear intent was to join the Nigerian's, as you version of the ballot states, in order to stay connected to the Communion, not the Episcopal Church. If you have not read the Va. Supreme Court's opinion, you might not know that it interprets the word "branch" such that a group that splits off of a church can be a "branch" of it. You are quite right that the congregations' intention was to NOT stay connected to TEC. But this is consistent with claiming to be a "branch" of it, for purposes of the statute. FWIW, it was me who posted the figures. I don't need credit, but I think David Handy+ probably doesn't need to be confused with me. It is, of course, correct to say that the figures mean nothing if you're one of the ones that's granted. What the figures clearly show, however, is that there isn't much chance of that. But the CANA folks want to stall, and they're desperate to win on 57-9. So asking for rehearing is perfectly understandable, from their perspective. An Anxious Anglican, there was no factual mistake by the Supreme Court of Virginia. The opinion was not as clear as it could have been, but they understood all the facts just fine. And I think your lawyers know it -- they're just hoping that the lack of clarity gives them an opening to try to persuade the Court to change its mind. Sorry, David H. Mistake caused either by the third poster at T19 assuming that you were Fr Handy, or by my mistakenly assuming that this is what he intended to say. I am not a lawyer and I don't play one on TV. I do have a lot of friends who are lawyers with whom I have been able to discuss these issues a bit more dispassionately. They all counsel that if you have an option that can end the case, you take it. If it fails, you soldier on with your other arguments. It would be irresponsible for them not to take the option. They counsel that exhausting a low odds appeal earlier is not a sign of desperation, but a sign of thoroughness, nothing more. A win on 57-9 appeal would effectively end the case. Assuming there is no SCOTUS intervention. The problem with a "win" on 57-9 is that it re-opens the constitutional issues, RWK. The court ruled in a way that enabled it not to address the constitutionality of the statute, because it found that the statute did not apply to the facts presented in this dispute. This rather deftly saved everyone from constitutional determinations that would have almost certainly borne the case to the United States Supreme Court. So a "win" from the CANA perspective on 57-9 would not "effectively end the case." It would make it much more complicated than it appears to be at the moment. CANA better win on 57-9,or there my be no hope. Two courts in Georga have just clearly ruled in favor of TEC. See below for a clear ruling on what will be the remaining issues. that's an interesting link, Anon. I had read T19's blurb on the decision, but not the language itself. The Georgia court is quite clear about principles that I have thought to be controlling ever since this secession fervor started roiling around Northern Virginia. The historic background of Christ Church, the Savannah church at the center of that litigation, and those of churches like Truro and the Falls Church must be very similar. The Court relies heavily on the accession of the church to Episcopal canons and discipline in the early 19th century as controlling the ownership issue. Quite aside from the merits of these disputes, the courts are providing us with a great history lesson about the Church of England in America and its transition from established governmental status to an independent existence. 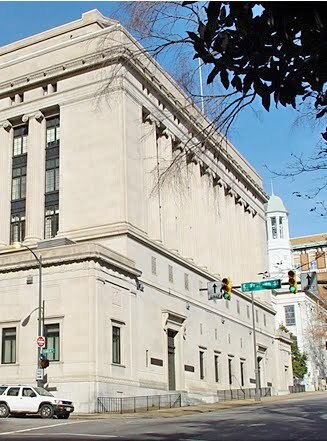 BTW, I see that I incorrectly, in my early comment above in this thread, identified this as the "Georgia Supreme Court." Your link makes clear that it is the Georgia Court of Appeals. Apologies to all. The Supreme Court of Virginia brought this filing upon itself by its incoherent analysis of what constitutes a branch. As to the odds of it succeeding, I have no idea. However, in our legal system you can always predict the outcome by the odds, right? That is why we have so few lawyers in this country. I apologize for just now reading these contrasting views to my own. Episcopal Cafe on the motion.